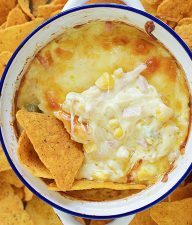 I’m always looking for different ways to prepare snacks for my kids. They are ready to eat something the second they get home from school. 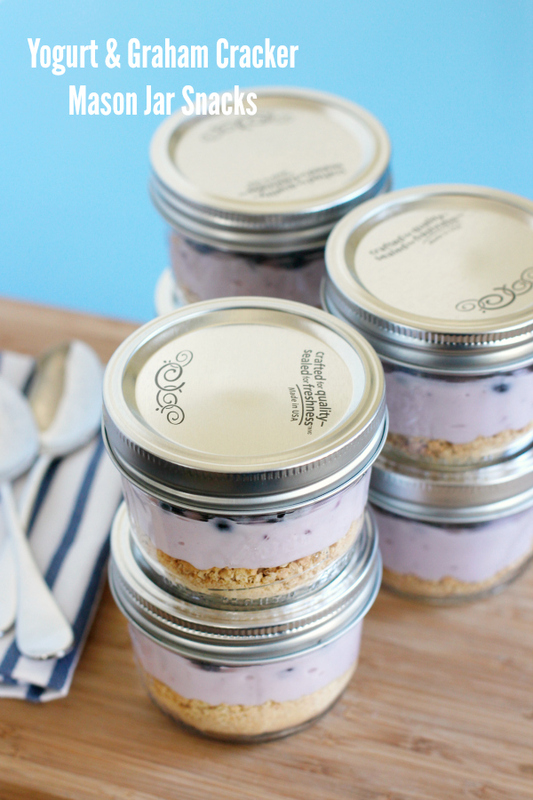 So we are all loving these yogurt and graham cracker mason jar snacks. 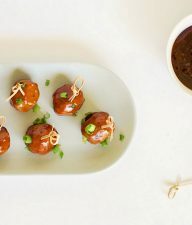 They’re super easy to make and really delicious to snack on, especially after a long day at school! 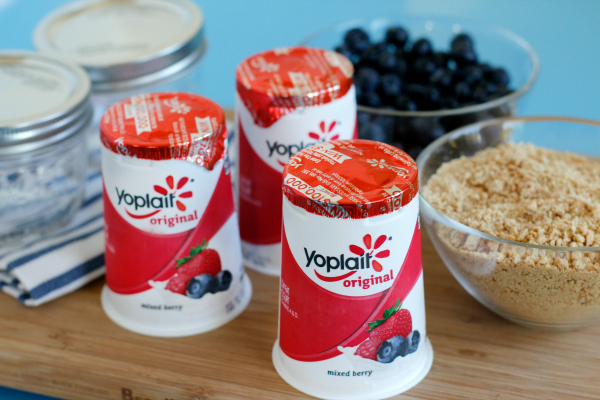 We’re partnering with Yoplait to share our family-friendly snack. 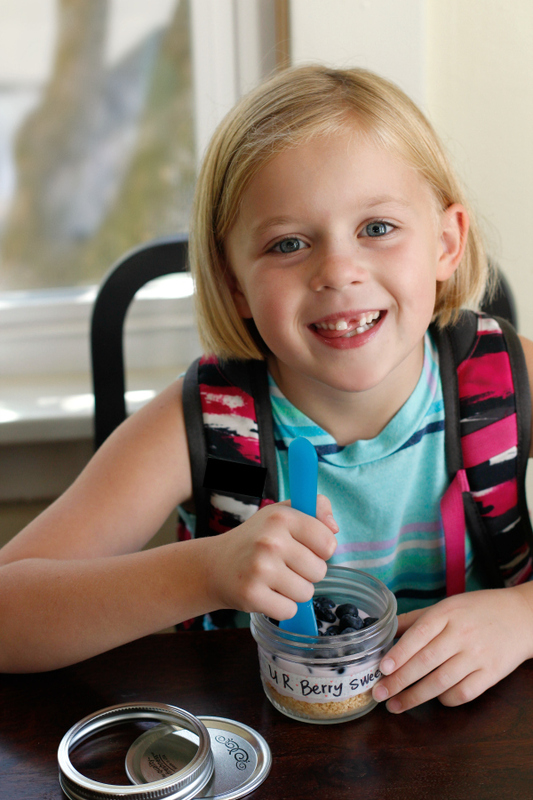 These better-for-you snacks are just the thing for my kids, especially during back to school time. 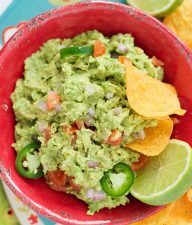 They are quick to whip up in the kitchen, then place them in the fridge and they are ready for snacking. 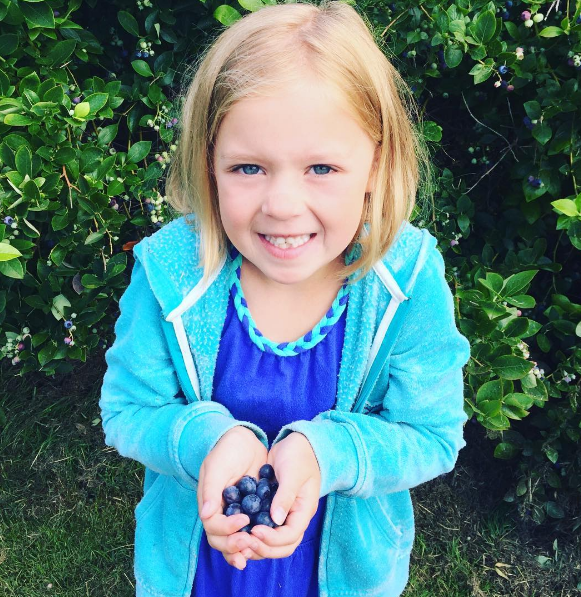 Plus we’ve recently been on a family blueberry picking adventure, so it was fun to come up with this snack idea using up all our fresh berries! NOTE: We’ve chosen to add Yoplait Mixed Berry Yogurt to our mason jars, but you could definitely choose another flavor that best fits your family. And if you don’t have blueberries, any delicious chopped up fruit will work great too. 1. Add 1/4 cup crushed graham crackers to the bottom of your mason jar. Repeat for all 6 mason jars. -To crush up your graham crackers, we added our crackers to a zip top plastic bag and crushed them with our hands and a rolling pin. For a finer crushed graham cracker, you can pulse blend them in your food processor or blender. 2. 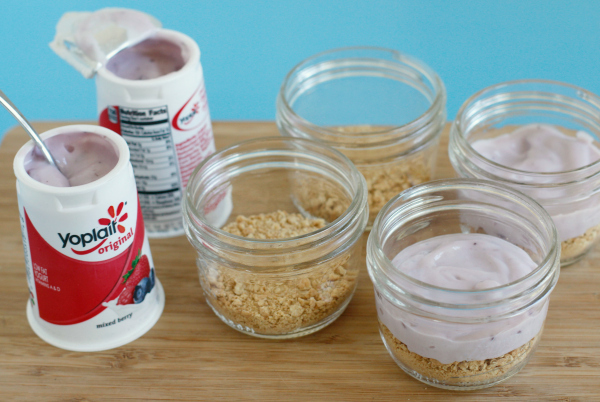 Pour half of your Mixed Berry Yoplait Yogurt on top of your graham cracker in the mason jar. It ends up being just a little more than 1/4 cup of yogurt in each. Repeat for all 6 mason jars. 3. 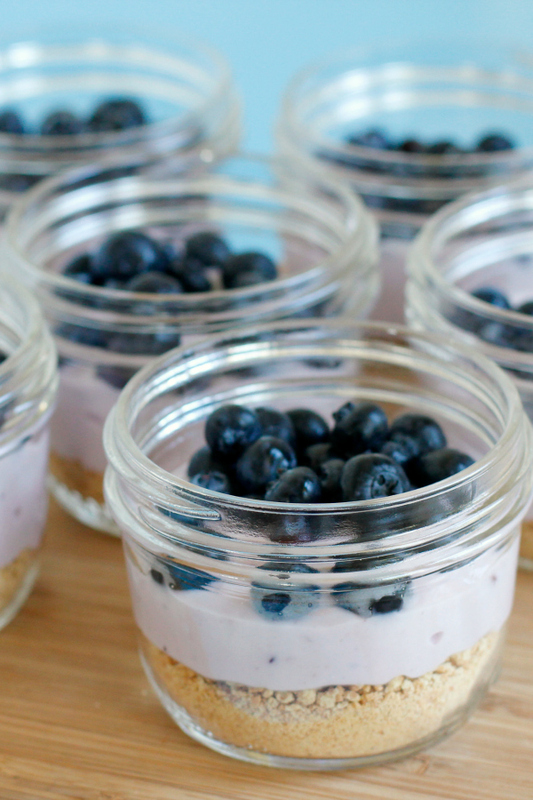 Scoop 2 small spoonfuls of blueberries on top of the yogurt, and repeat for all 6 mason jars. 4. Add the lid to the mason jar and place in the fridge. To make snacking just a little more fun, add a snack label with washi tape. We wrote a few sayings on some of the snacks, helping these better-for-you snacks a little more snazzy! Tear off a piece of washi tape and write your words in black marker – “Snack Happy”, “U R Berry Sweet”, “Snack-a-licious”! 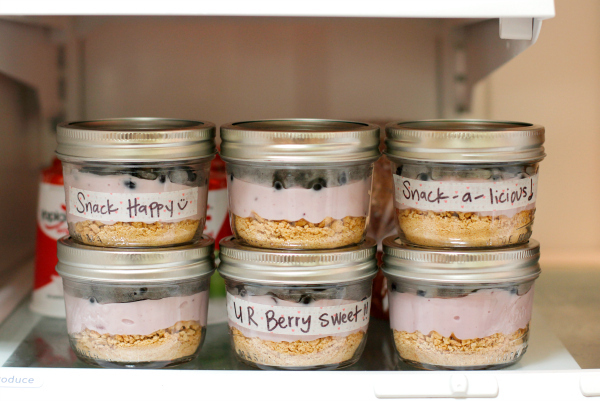 Stick them to the side or top of your mason jar and place them in the fridge, ready for snacking! Now it’s time to wait for the kiddies to get home and snack happy! My little one is home first and was too hungry to even take off her backpack, ha! She was ready to eat quick. Good thing these are so easy to store in the fridge ahead of time, ready for hungry tummies! Add 1/4 cup crushed graham crackers to the bottom of your mason jar. Repeat for all 6 mason jars. 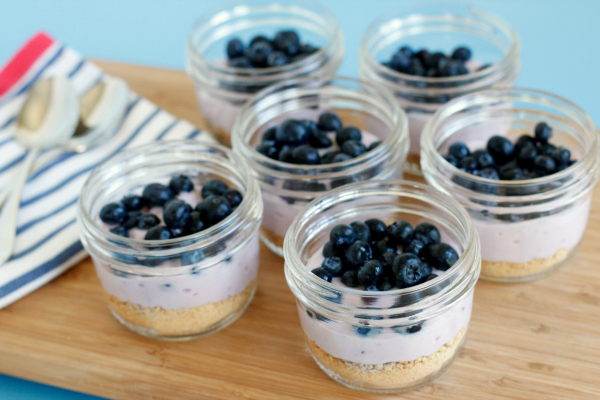 Pour half of your yogurt on top of your graham cracker in the mason jar. It ends up being just a little more than 1/4 cup of yogurt in each. Repeat for all 6 mason jars. Scoop 2 small spoonfuls of blueberries on top of the yogurt, and repeat for all 6 mason jars. Add the lid to the mason jar and place in the fridge. NOTE: We've chosen to add Mixed Berry Yogurt to our mason jars, but you could definitely choose another flavor that best fits your family. And if you don't have blueberries, any delicious chopped up fruit will work great too. *Thanks to Yoplait for sponsoring this post. 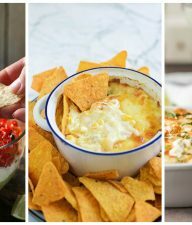 Be sure to visit them online and follow them on Facebook, Pinterest, Instagram and Twitter for more ideas and snacking inspiration.